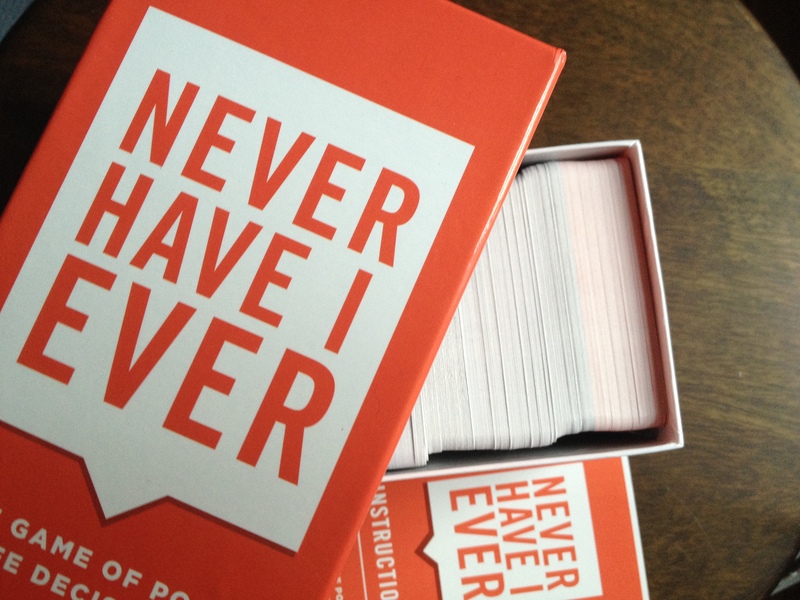 We are all used to Cards Against Humanity by now, but if you really want to cringe, there’s a new card game out now that is even more painful in regard to embarrassment and the horribleness of people. Not to mention, as the box says, “poor life choices”. We had a few people around, and wow. The first thing I have to warn you is not to play with any member of your family. EVER. Seriously, if they ask what you’re doing, give them money and tell them to go out to a movie or something. There are now things that I can never unhear. I am scarred for life. Great, thanks so much! 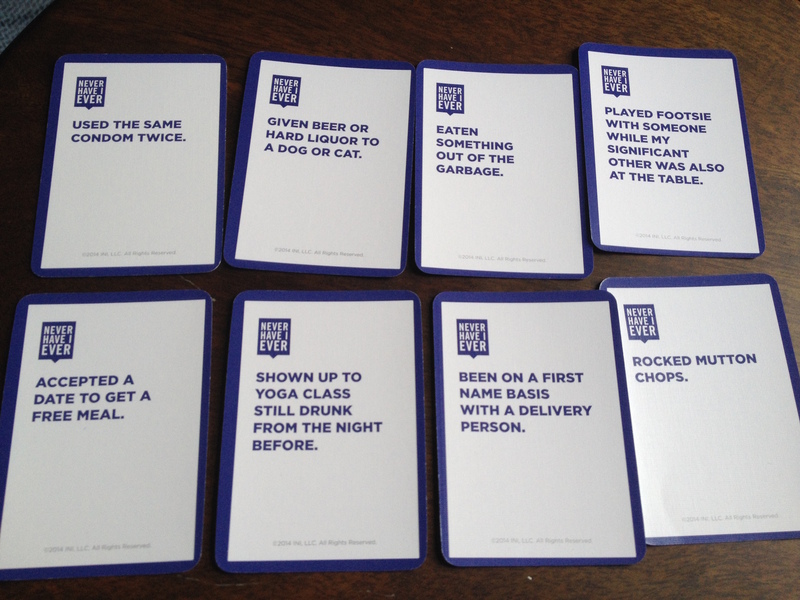 Overall, it’s a great party game. There were 7 of us, though the recommendation is 4 or more. The age says 17+, but all of us were 21+, and even we didn’t do all the things the cards said. Seriously, some of these were really bad, like so bad they were really cringe-worthy and then some. Again, don’t play with family. I’m serious. Just don’t. You’ll live a happier and more blissful life. It’a available on hart&heim for $39.99. 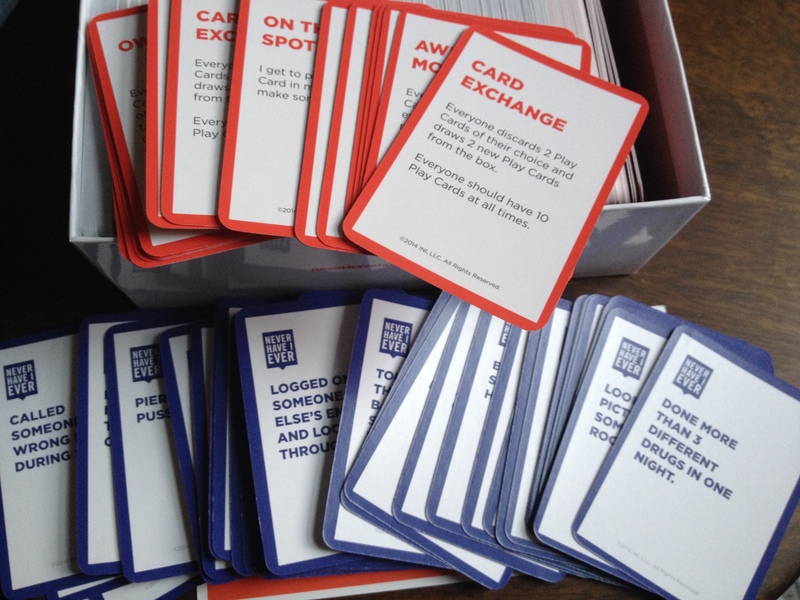 The box includes 550 cards (485 play cards and 65 rule cards) and the instructions card. I’m definitely going to be packing this in my suitcase and wrangling as many people to play as possible, though I might be a spectator the next go around. This is a game to definitely bring out, but be warned, there are some things that you really don’t want to know that people have done. Like ever. 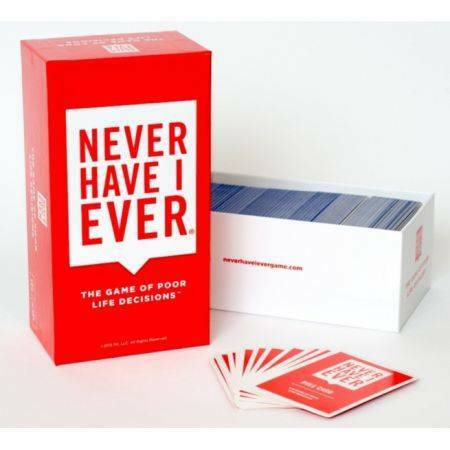 But, if you can handle it, then Never Have I Ever should definitely be on your shopping list.